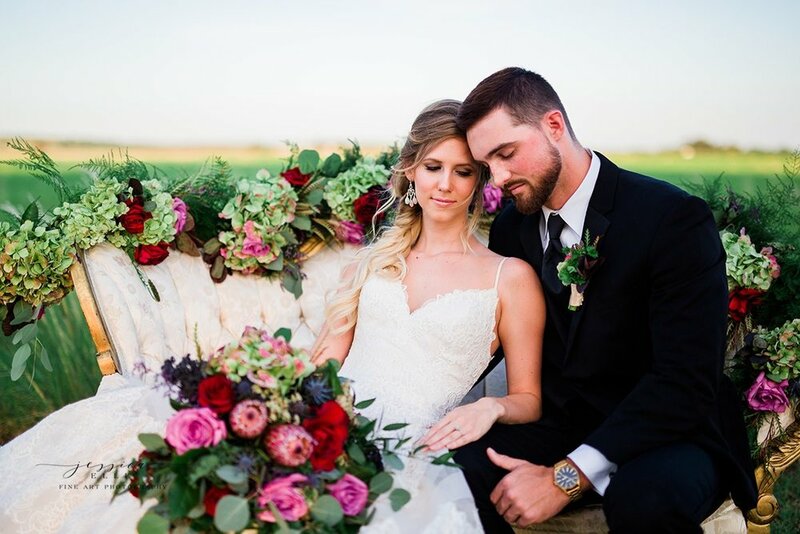 We are so honored that our Styled Shoot has been published San Antonio Weddings Magazine!Thank you so much for the publication! 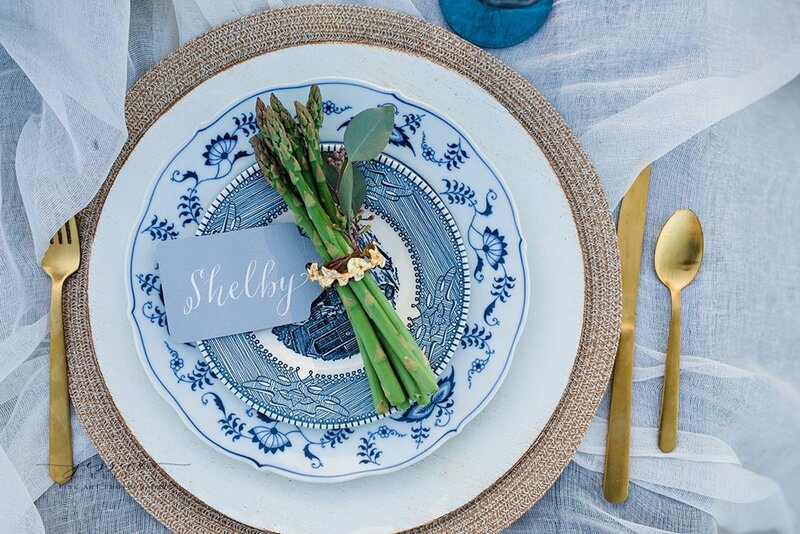 Nancy, our owner and lead planner, designed and planned this shoot. 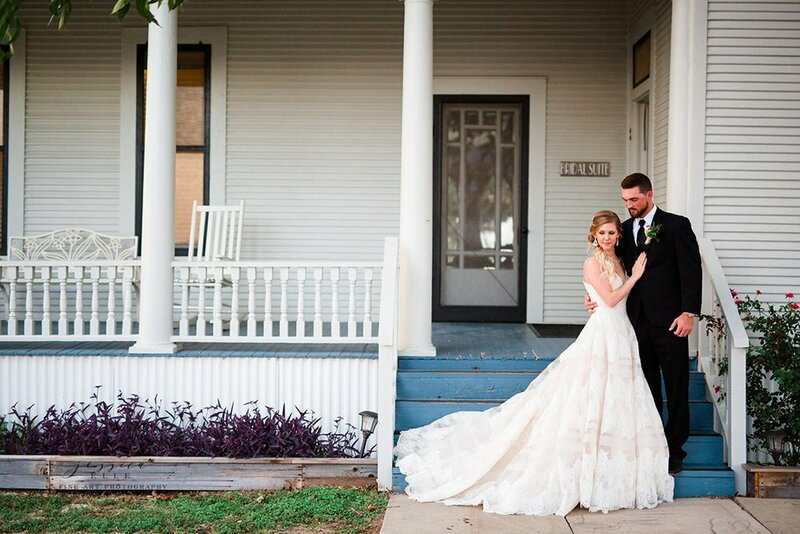 The Allen Farmhaus has so much history and Nancy felt inspired to highlight the venue's unique history with each detail of the shoot. The Farmhaus was constructed in 1914 where the Allen family farmed on the land for generations. 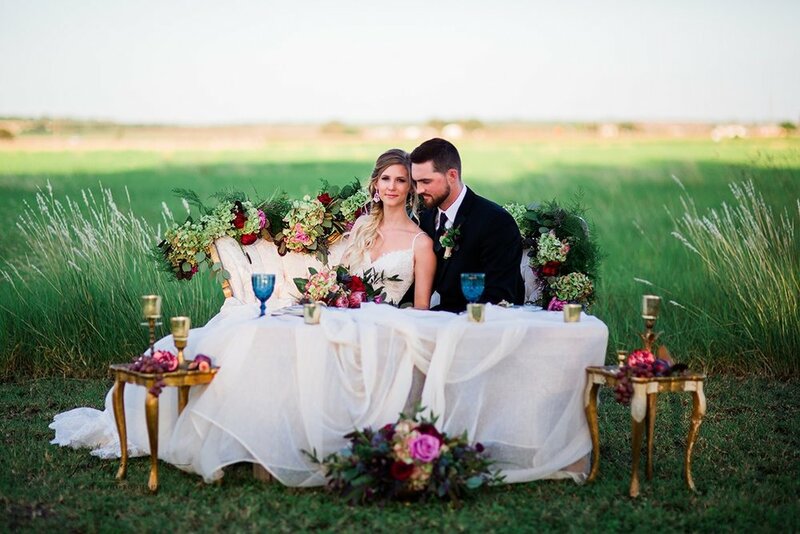 Nancy's inspiration was to bring the elegance of a French Farmhouse to South Texas. She was compelled to use unique and raw materials such as fresh fruits and vegetables, bold colors, and vintage elements to honor the history of the farmers. Here are some of our favorites from the shoot. DeVinnie's Paradise Floral worked closely with Nancy to create the beautiful floral pieces. The flowers DeVinnie's team selected were breathtaking! Isn't the dress stunning! Thank you to Celebrations Bridal and Prom for the dress, jewelry, and suit. The Farmhaus...you have to go see how amazing it is for yourself! Thank you to our models who were one month away from walking down the aisle themselves. Thank you to all the creative partners who contributed and collaborated with Nancy to make this happen!